Daniel Washam never intended to get into the hard cider industry, and now that he has, he says he hopes to start a cider revolution. 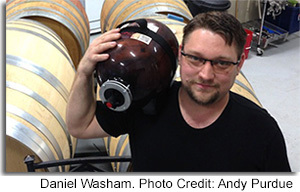 Daniel Washam is the co-owner of Sun River Vintners in Kennewick, WA alongside his father Glenn. When Sun River Vintners received their license in January of 2010, their intent was to make wine. However, Washam also began producing hard cider after his wife, who doesn’t enjoy beer, sampled the beverage about a year ago. Washam wanted to create something tasty for his wife, and decided to try making hard cider at home. After scouring the internet for recipes and techniques he began experimenting, and within a few months he came up with, Baked Apple. Baked Apple is a mixture of juice from several apple varieties and is enhanced with cinnamon-infused syrup created by Washam. The cider smells and tastes like liquid apple pie. A few months ago Washam, along with Sun River Vintners’ marketing manager, Kathleen Dykes decided to take a sample of the cider to the Fox and Bear Public House in Richland, where owner Daniel DeGroof and manager Peter DeGroof immediately added the hard cider to their wine and beer offerings. It quickly became a favorite with customers, and has since been going through 2 kegs a week. With all of the success Washam was seeing from his cider, Sun River Vintners decided to start a second label, D’s Wicked Cider. “Wicked because it’s wickedly good,” said Washam to the Tri-city herald. On December 17, 2014, he took the cider to Spokane and met with Steve Stockton, COO for King Beverage, a Spokane Valley distributer. On the same day, there happened to be a sales meeting scheduled, so Stockton had the staff sample Baked Apple. There was a unanimous decision in the staff meeting to begin carrying D’s Wicked Cider, and Washam went from making 50 gallons to 600 gallons of Baked Apple overnight. As for the overwhelming success of Baked Apple, Washam says “My head is still spinning. It’s great… it’s wonderful, it’s better than winning the lottery.” Washam plans to make this as big as he can, bringing it coast to coast. Hard Cider News tried D’s Wicked Baked Apple in early March at a staff meeting and we were not disappointed. When first opened, the aroma is that of a fresh baked apple pie. After sipping, the expression on everyone’s faces was that of surprise, joy, and overall pure satisfaction. It truly does taste like baked apple pie! From the slight spice of cinnamon to that warm gooey juice that sits at the bottom of the pie, we could taste it all. Want to try it for yourself? King Beverage (WA) will soon be stocking shelves with D’s Wicked Cider that will sell for $6 - $7. You can also buy a 2.25-gallon party pig at the tasting room or Ice Harbor Brewing in Kennewick (WA) for $75, refills are $55. Kegs are also available for purchase. D’s Wicked Baked Apple is already available on tap in 36 restaurants in the Tri-Cities and Spokane area (WA) including Fox and Bear, Casa Mia, McKay’s Tap House, 3 Eyed Fish and Stick + Stone in Richland, and The Roxy, Sports Page and Twigs Bistro in Kennewick. It is also available at 7 grocery stores in the bottle. D’s Wicked Cider will be introducing their second cider, a green apple variety, in April-May of this year. The tasting room for Sun River Vintners and D’s Wicked Cider is located at 9312 W. 10th Ave, where you can sample wine and cider from 3pm – close Thursdays, noon – close Fridays and Saturdays, and by appointment only on Sundays. For more information visit DsWickedCider.com. 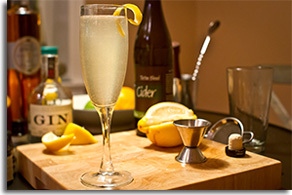 Seattle Cide r Company, is excited to release yet another stellar cider as part of its seasonal lineup – Gin Botanical. A first of its kind cider, available March through May, Seattle Cider’s Gin Botanical offers a distinctive flavor profile, thanks to the gin botanicals from Batch 206 Distillery added during fermentation. This one-of-a-kind style will be available in 22-ounce bottles and joins the growing cidery’s two year round ciders – Dry and Semi-Sweet, available in 16-ounce cans – on shelves and on draft throughout Washington, Alaska and Oregon. Seattle Cider’s Gin Botanical is a semi-dry cider unlike any other, showcasing notes of lemon, orange rind, juniper, cucumber and verbena. Like the spirit that inspired it, this cider is complex, clean, aromatic and refreshing. Offering a 6.5% ABV and just 1.8 Brix, this one-of-a-kind cider is dryer than most ciders found on the market today with aromas unlike any other. Pick up 22-ounce bottles at specialty bottles shops and grocery stores throughout Seattle (WA), including Full Throttle Bottle, Chuck’s Hop Shop and Whole Foods. For a more complete list of locations, visit SeattleCiderCompany.com (subject to change and availability). The cider makers at Angry Orchard announced the national release of Angry Orchard Green Apple hard cider. The newest addition to the Angry Orchard hard cider line-up, which hit shelves this month, has a tart and bright character like a fresh green apple, and is the first year-round style of Angry Orchardhard cider made with American apples. First launched in 2012, Angry Orchardis already the number one selling hard cider in the US according to IRI’s “Total US Multi-Outlet” report from February, where hard cider is still a widely unknown beverage but growing in popularity with both craft beer and wine drinkers. The cider makers at Angry Orchard have experimented with different apple varieties and fermentation methods for more than 15 years, looking to perfect the craft of cider making. 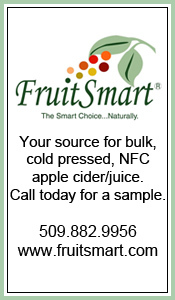 In creating Green Apple, they found that the sweet, juicy profile of culinary apples from the Pacific Northwest, specifically Washington State, lends to a perfect fresh apple flavor and sharp apple tartness. 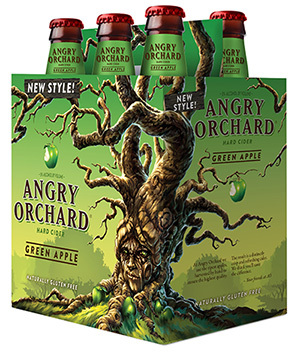 When creating Green Apple, the cider makers at Angry Orchard looked to achieve the familiar char acteristics of a green apple, which is typically more acidic with an uncommon tartness compared to traditional red apples. Angry Orchard Green Apple has a 5.0% ABV with a soft, bright acidity that contrasts with heavier flavors of smoked meats and sharp cheeses as well as sweet desserts. It is naturally gluten-free like all Angry Orchard hard ciders, and available year-round in 6-packs for a suggested retail price of $7.99-$9.99 (varying by market). Additionally, Green Apple will be available in variety 12-packs for a suggested retail price of $14.99-$17.99 (varying by market). Along with the announcement of Angry Orchard Green Apple rolling out, the company also announced, earlier this year, that it is switching the caps on all 12oz. bottles from twist-off to pry-off in order to improve the fresh apple flavor of all its hard ciders. Although it’s a small change, using pry-off caps will protect the cider and ensure that drinkers are enjoying the best tasting Angry Orchard hard cider possible. The cidermakers have found that pry-off caps provide the most secure seal for hard cider – protecting the liquid from coming into contact with oxygen, which over time can be detrimental to the flavor of hard cider. Bottles with the new caps started hitting shelves in February, so drinkers will now use a bottle opener to enjoy Angry Orchard hard cider. To let drinkers know about the change, all new caps will have the words “use bottle opener” printed on them. To find where Angry Orchard hard cider is served near you, visit the “cider finder” at AngryOrchard.com. Pacific Northwest Cider Awards (PNWCA) is pleased to announce its first annual cider competition and public tasting event, taking place June 5 - 8, 2014! Presented by Seattle Cider Company, sponsored by Washington Beer Blog and Capitol Cider, PNWCA is comprised of a one-day private judging, followed by a three-day festival to be held at The Woods tasting room in Seattle’s SoDo neighborhood. With more than 20 cideries participating and nearly 25 ciders on tap, PNWCA is intended to raise awareness for the amazing ciders being produced in the area and is an event not to be missed. The private judging will take place on Thursday, June 5 at Capitol Cider in Seattle’s Capitol Hill neighborhood. Moderated by Washington Beer Blog Editor Kendall Jones, judging will be comprised of 10 cider categories, developed by the PNWCA planning committee. Each cider will be judged on attributes including clarity, aroma, mouthfeel and overall impression. In addition to awards for each individual category, the gold medal winner of each category will go on to compete in a “Best in Show” judging round. Winners of the private judging will be announced the morning of Friday, June 6 at PNWCA.com and via PNWCA social media. As a compliment to the private judging, a three-day festival will be held Friday, June 6 - Sunday, June 8 at Seattle Cider Company’s tasting room, The Woods, in SoDo (4700 Ohio Ave S). Open to the public, this festival will feature an estimated 25 ciders on tap, giving Seattle-area cider lovers the chance to enjoy specialty and limited edition ciders from producers throughout Washington, Oregon, Montana and Canada. Additionally, as part of the festival, each cider or tasting flight purchased will be accompanied by a voting slip, allowing for one vote per purchase. 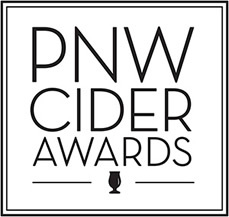 The cider with the most votes at the end of the festival will be awarded the People Choice Award, to be announced Monday, June 9 via PNWCA.com and PNWCA social media. The Woods will be open Friday from 3-10pm, Saturday from 1-10pm and Sunday from 1-6pm for the event, with food available from popular food truck, Where Ya at Matt, all three days. Tastings flights and pints will be available. Representatives from participating cideries will be present at various times throughout the event. Cideries interested in participating must be members of the Northwest Cider Association, encompassing Oregon, Washington, Montana and Canada. For more information on registration, fees, sample submission and more, cideries are encouraged to visit PNWCA.com. Intent to participate is due April 7, with cider samples needed by May 9. For more information, visit PNWCA.com or email register@pnwca.com. Also, be sure to follow PNWCA on Facebook and Twitter for all the latest news and events! Fort Collins, Colorado, locally owned Compass Cider House announced this month that it has completed the merger with Cedaredge (CO) based cidery Blossomwood Cidery, LLC. This exciting merger combines the oldest cidery in Colorado and the Rocky Mountains with one of the newest cideries – Compass Cider House. 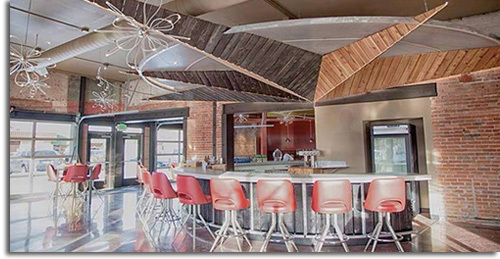 In addition to the merger, the two companies are announcing the Grand Opening of their Cider Lounge, a modern tasting room, restaurant and cider production facility located in historic Old Town Ft. Collins at 216 N. College Avenue (CO). During “grand opening” festivities, a formal ribbon cutting ceremony took place and eight premium and super premium hard ciders and perry were released. Special cider and perry tasting trays and paired small plate menu items were also available to round-out the offerings throughout the celebration. 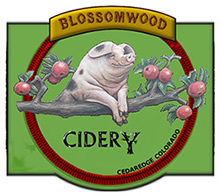 Cider and perry will continue to be made at both the Blossomwood Cidery in Cedaredge (CO) and the newly constructed Compass Cider House in Ft. Collins (CO). The Compass Cider Lounge, the flagship tasting room for Blossomwood and Compass Ciders offers a paired small plate menu prepared by Executive Chef David Daggett to enhance the tasting experience. Blythe said that having exceptional quality menu items prepared from a global assortment of cuisine styles provides the perfect backdrop for adventuresome drinkers who are looking to try new things and explore the burgeoning world of cider and perry. The lounge offers approximately 12 to 14 locally sourced menu items that enhance the tasting experience and they are available for both lunch and dinner. 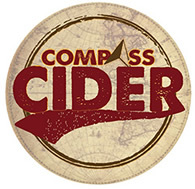 For Compass Cider Lounge hours and menu information, please visit CompassCider.Com. Magners Irish Cider, the world’s best-selling Irish cider, is excited to expand their portfolio in the United States with the ad dition of Magners Pear cider on draft across the United States. Magners Pear Cider is crafted in Clonmel, Ireland from 100% premium pears. The Magner’s cidery has been handcrafting cider since 1935, developing unique fermentation and filtering processes over the decades. This perfect slow fermentation and cold filtering gives Magners Pear a delicate but fresh fruity pear taste. 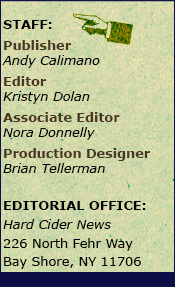 The staff at Hard Cider News tried Magners Pear and were pleasantly surprised. For many, they used characteristics like refreshing, light, and easy drinking. Some compared it to a sweet wine because it reminded them of eating several green grapes. Others, discussed if the cider tasted better warm or cold and decided that the colder the better. At 4.5% ABV it is a sessionable cider. Magners Pear cider kegs are now shipping nationwide. It is also currently available in the US in a 12oz. bottle and 19.2oz. pint bottle. For more information, visit USA.Magners.com.